Quotations attributed to both e.e. cummings and Ralph Waldo Emerson tell us that the work of being yourself is truly an accomplishment. When others are trying to make you just like them or just like everyone else, being yourself is no small feat of resistance. 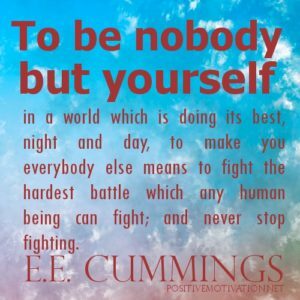 What does it take to be nobody but yourself?